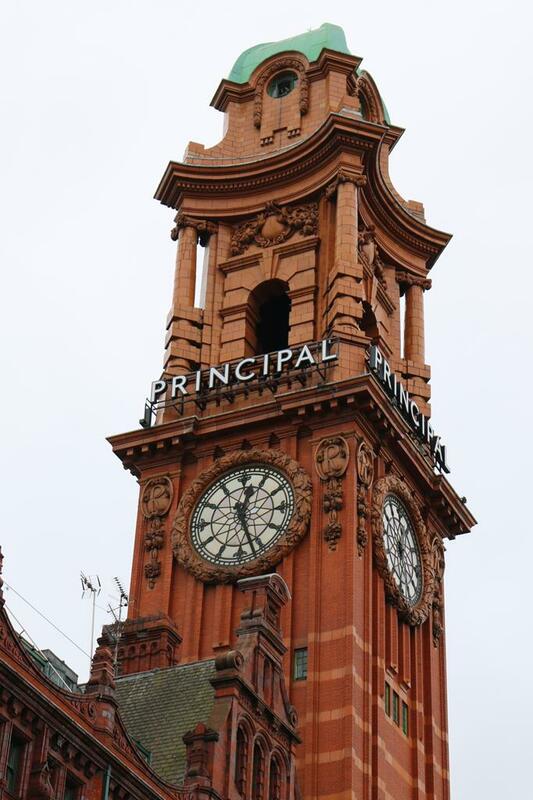 Standing 217 feet (66 metres) high, the clock tower of what is now The Principal Manchester was the tallest building in Manchester for many years. A famous landmark, with four clock faces visible across the city, and upon each clock face four bees in flight indicating the quarter hours , and bees with closed wings for the other intervals. The building was originally the headquarters of the Refuge Assurance Company, with the first section on Whitworth Street designed by Alfred Waterhouse and built between 1891–1895. Requiring expansion, a new section including the striking tower was designed by his son Paul and built along Oxford Road between 1910 and 1912. A third and final section along Whitworth Street was added in 1932 and designed by Stanley Birkett. The Company moved to new headquarters outside of the city in 1987, with the building remaining empty until being converted and reopened as The Palace Hotel in 1996. The hotel was renamed after a refurbishment costing in excess of £20 million in 2016. The tower makes a memorable filmic backdrop for the finale of Hell is a City (1960), which ends with a fight between Stanley Baker and John Crawford atop the building with the clock tower in the background. There’s more information on the film here, and photographs of the filming of the finale can be found here. 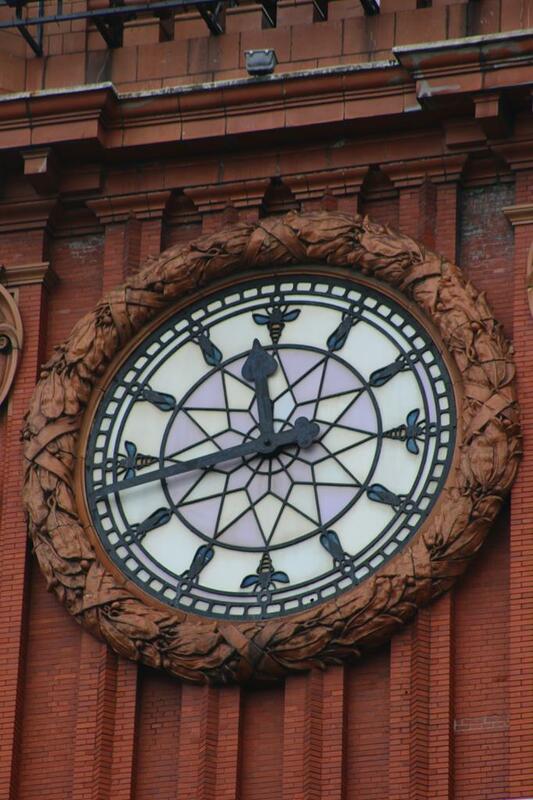 So why do the bees appear on the clock faces? They appear to be a tribute from son to father, as Alfred also designed Manchester Town Hall. They’re also the only bees I’ve found that decorate the building, with the rest of its iconography symbolising safety and strength. For example, there’s a castle keep directly above what is now the entrance to The Refuge by Volta.